This year, Business Insider decided to take on the task of ranking the #1 beach in America. They combined some of the most notable beach rankings to develop the ULTIMATE best beach list for 2015. 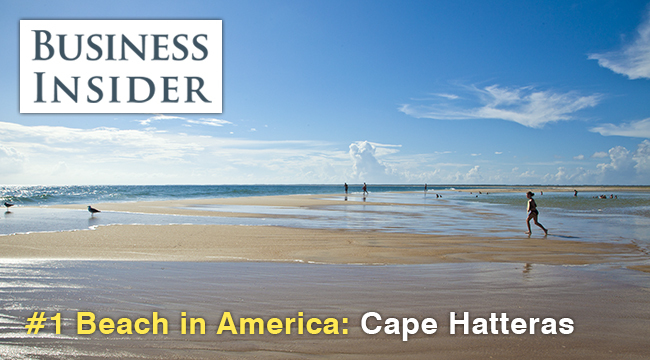 Coming in at #1: Cape Hatteras, of course! With it’s uncrowded shores, warm, tranquil sound waters, lighthouse and charming villages, anyone who has been here will tell you, it is simply the best. Business Insider compiled rankings from top sites and publications like Dr. Beach, Forbes, Coastal Living and the Travel Channel to come up with their ultimate list. Read the full article or check out the top 13 video.